Every year hundreds of individuals graduate from Kaplan Professional and embark on their career journeys or continue to thrive in their existing careers. We’re proud of our student and alumni communities and everything they’ve achieved. When considering where to study, often the most useful information comes from those who know what it’s like to undertake the qualification. Hear first-hand from our students and graduates and discover why they chose to study online with Kaplan Professional. Rachael Bursell is a Financial Adviser with Finance Your Future. Rachael has over 17 years’ industry experience and was recently nominated for the 2018 AFA Rising Star Award. She maintains that advisers who make a strategic effort to further themselves through education will reap the benefits in the future. Hear how Anthony has deepened his technical knowledge throughout his Master of Financial Planning studies, while balancing his extensive professional and personal commitments. Hear how Sandra managed to balance her Master of Financial Planning studies with a full-time career as a financial adviser. 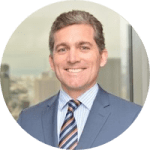 Ben Travers is a Certified Financial Planner® and Manager, Senior Advisor and Representative with Pitcher Partners. Ben was recently recognised as one of Financial Standard’s Power50 Most Influential Advisers and Money Management’s Financial Planner of the Year. He believes further education is the found of confidence for clients seeking a trusted adviser. 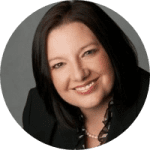 Katrina Robbins is a successful financial planner with over 33 years of experience in the industry. She currently runs her own business and is adamant further education has been paramount to her success. Katrina says she’s benefited greatly from Kaplan Professional’s ongoing support and flexible study options. 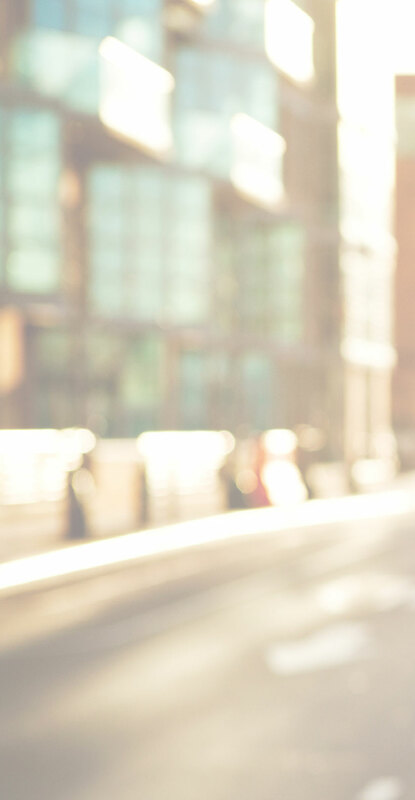 Hear how Jessica has benefitted from Kaplan Professional’s online flexibility and unrivalled student support throughout her Graduate Certificate in Applied Finance studies. Hear how Calen has benefitted from the flexibility and support of Kaplan Professional’s postgraduate applied finance qualifications, while learning practical and relevant outcomes he can apply directly to his career. 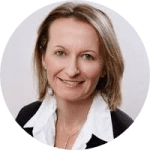 Shannon Gardner is a highly-respected Senior Financial Planner for Super SA – Industry Fund Services. 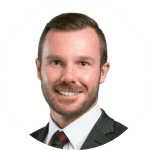 Throughout his career, Shannon has attained a number of qualifications with Kaplan Professional and reached the pinnacle – graduating with a Master of Financial Planning in 2017. Today, he shares his many years of experience through acting as a senior adviser and proactive role model within his team. As an active property investor, Rowena Myers decided to study with Kaplan Professional, so she could turn her passion into a career. Today, she’s a Finance Specialist for Mortgage and Finance Solutions Australia. She says online learning was the only option that allowed her to study while working full-time. Throughout his Graduate Diploma of Financial Planning studies with Kaplan Professional, Mark gained practical and relevant knowledge that has helped set up his career, while further extending his professional network. Kaplan Professional’s online flexibility and six annual intakes has allowed Daniel to choose how and when he wants to study. He’s also been able to expand his technical knowledge while completing the Master of Financial Planning. 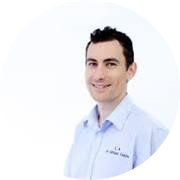 Dean Loosmore is an established financial planner with over 13 years of experience in the industry. Dean attained a distinction average for his Master of Financial Planning and was a finalist in the AFA’s prestigious Excellence in Education award. He remains adamant Kaplan Professional leads the way when it comes to providing the flexibility to balance work, study and a personal life. 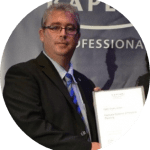 Having previously worked as a tradesman, Daniel Jackson studied with Kaplan Professional to change the direction of his career. In 2017, he was awarded National Dux of his cohort for the Graduate Certificate in Financial Planning. Today, he’s a successful Financial Planner with DBK Financial Solutions. Work at your own pace without the need to take time away from your commitments and current job. Start a smooth transition into your new career by studying an online qualification with Kaplan Professional. With six intakes per year for our postgraduate qualifications and anytime enrolment for our vocational qualifications, why wait months for a new semester to commence? Start working towards your new career as soon as tomorrow. Studying online can be a daunting prospect. We give you the tools needed to succeed. You’ll receive prompt, courteous and diligent student support from our professional student support team. Our qualifications are designed and delivered by leading professionals with a wealth of industry experience. This ensures you’ll not only understand the relevant theories behind what you’re learning, but also practical and applied knowledge you can apply to your new career.